Useful properties of Phacelia. Cold- and heat-tolerant green manure and honey plant. Description. Lacy Phacelia is a meadow annual herb with an erect, fairly stiff stalk 70-120 cm high. The leaves are pinnately divided, up to 20 cm long. The dark blue, light blue or violet umbellulate flowers are 1 cm in size. The plant is totally coated with hairs. The fruit is a spike with capsules; dark gray seeds are up to 2-3 mm in size. Growing Conditions. Phacelia is thought to be native to California, with its dry and hot climate and rock sandy soils. Naturalized in Europe, Phacelia often reseeds on disturbed soils like waste fields. Originating from the hot climate, the plant developed specific flower-protection mechanisms to prevent nectar from drying out. That is why bees actively visit Phacelia in hot weather. 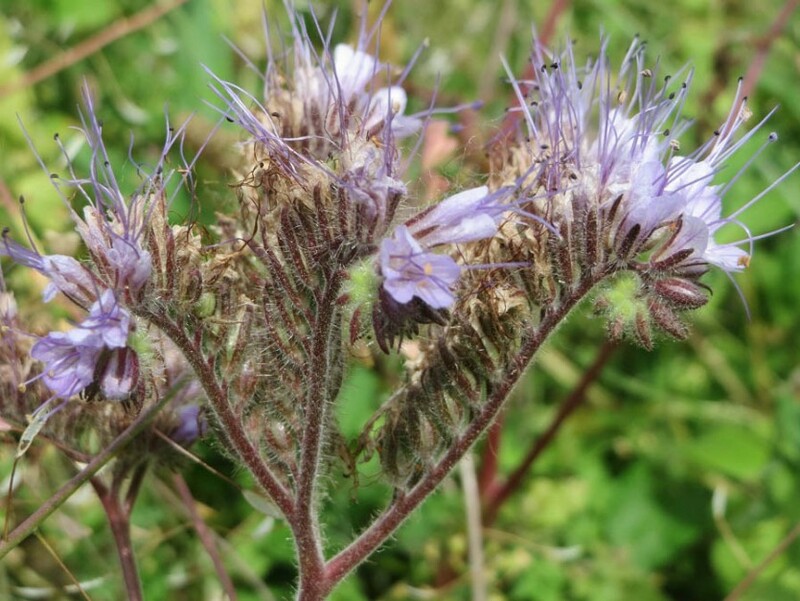 Phacelia grows on any type of well-warmed soils but does best on lightweight fertile loams. Moreover, the plant is considered to be quite cold-resistant and is said to survive cold snaps down to -9 ° C at night (if daytime temperatures are above zero). Planting and Care. 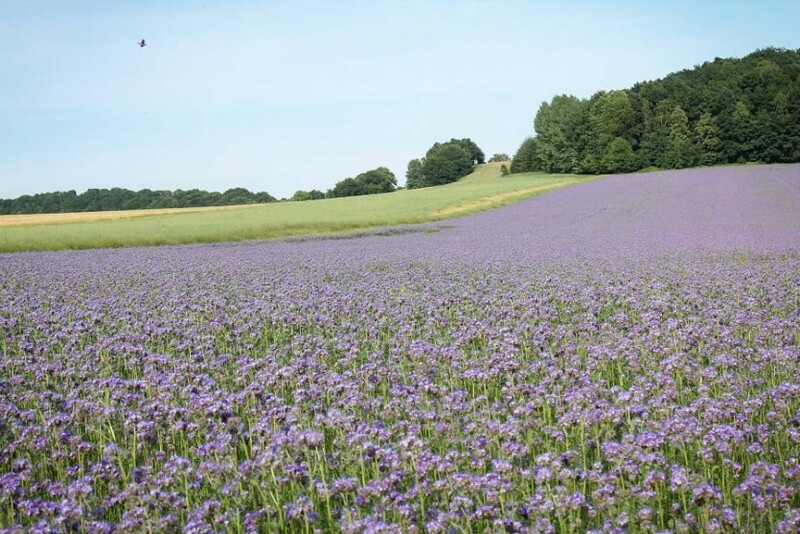 Phacelia is sown in April in the southern regions and in May in the northern regions (It can be also sown in late October or November). The seeding rate is 5 to 10 kg per hectare depending on the planting width (With the planting width of 60 cm, the seeding rate is very low). The seeds are sown at a depth up to 2 cm and must be covered by soil (harrowed). New plants emerge 12-16 days after sowing. Useful Qualities. 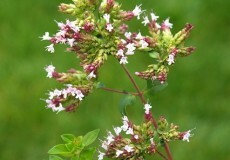 The start of the flowering period depends on the weather and sowing time (cool weather delays the start of flowering). With the spring sowing, flowering starts in 40 days, with the summer sowing in 50 to 60 days. 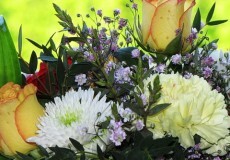 Flowering lasts for 25 to 45 days and depends on humidity, temperature and soil fertility. The longer the flowering period is, the larger the honey yield is. Phacelia’s vegetative period is only 80-95 days. 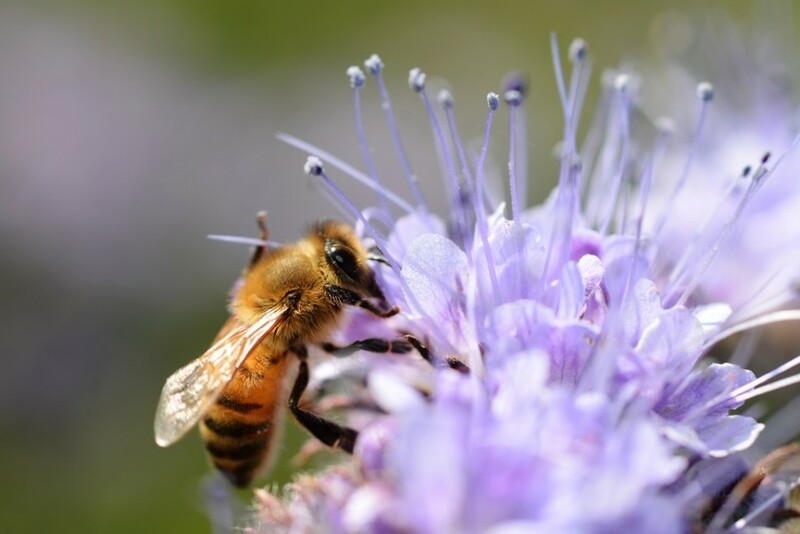 Considering that bees eagerly visit Phacelia from morning till night, especially at noon, and collect not only nectar but also the blue pollen, this honey plant can be considered one of the most productive. The best flow is recorded from June to mid-July. By sowing Phacelia 3-4 times with 15-20 days in between, beekeepers can completely close the no-flow period until mid-September. A hectare of Lacy Phacelia in the southern regions (southern Russia, the Caucasus, Ukraine, and Moldova) produces up to 1,000 kg of honey; however, in the arid regions of Kazakhstan and Central Asia, the yield drops to 100 kg. In temperate climates (from the Baltic Sea to the Urals), a hectare produces 200 to 500 kg of honey; however, if Phacelia is sowed in summer, the yield drops to 100 kg per hectare (because of cool nights during the flowering period). This shows that late planting period reduces the nectar flow by 2-3 times. Phacelia yields about 200 kg of honey per hectare in Siberia and 150-300 kg per hectare in the Far East. Phacelia’s rigid stalk provides an important advantage for the bees foraging in open spaces with a considerable wind load. Wind-resistance positively affects the honey yield. Therefore, while working on Phacelia, bees are very peaceful. Phacelia should be sown as a companion plant to less wind-resistant and lower-yielding honey plants of the same height. Being one of the top honey plants, given its cold- and heat-resistance, Phacelia is grown wherever beekeeping is possible: across Europe, from South Karelia, Arkhangelsk and Perm to the Caucasus, from Ekaterinburg, Novosibirsk and Krasnoyarsk to Central Asia and Transbaikal, from Blagoveshchensk to Vladivostok. Phacelia honey is light, yellowish or greenish, sometimes almost translucent, and very fragrant. In honeycombs, it doesn’t crystallize for several years and can be used for winter feeding (which is yet another advantage). Extracted honey crystallizes in 6-7 months under the room temperatures. If you want to ensure an abundant flow starting from the first season, regardless of the region’s conditions, sow Phacelia. You will both increase your honey yield and enrich soil with nutrients. Follow us so to keep up with the latest honey plant reviews and you will be able to choose the best ones for your region.